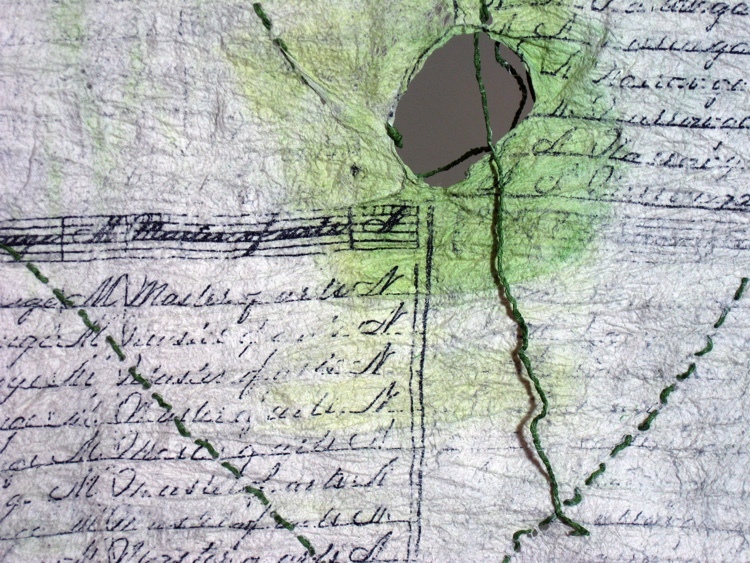 This book is written, illustrated and fabricated by the artist as an analogy of weaving and the woven fabric to our world, and more specifically, to our own country. It concerns current day attitudes and policies about the varieties of people who make up our communities. The front cover is woven by the artist with many varieties of yarns intermingled into the weft of the fabric with the back cover being pure white woven yarns. 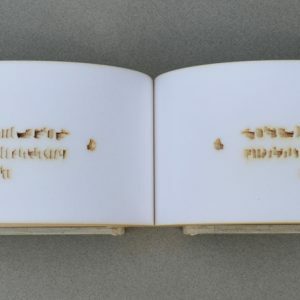 The book uses font made into solar plate etchings which have been hand pulled as relief prints . 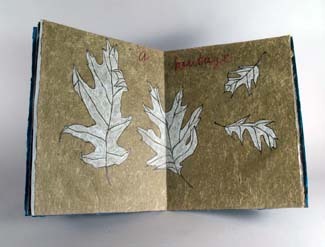 The images are made of original copper plate etchings printed as intaglio using black and colors of ink. Some watercolors are used to add more color to the font. 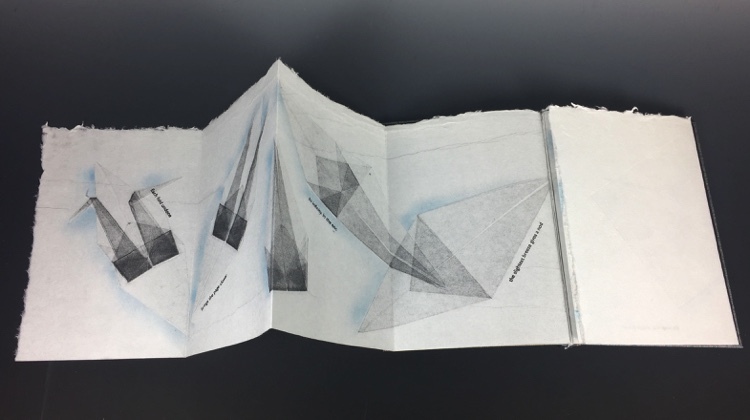 This is a 10 page book made up of printed folded pages and finally put together with ribbons weaving an expandable binding and tying at the fore edge.